Fast, Easy & Affordable - Rated #1 for Cheap Magazine Printing Services. Satisfaction Guaranteed! Cheap Magazine Printing Costs Are Better at PrintingCenterUSA! We combine cheap magazine printing prices, high quality, fast turnaround, mailing services, predesigned or blank templates, great customer service plus a customer satisfaction guarantee. Low cost magazine printing is an effective marketing tool. We love to help our customers produce high-quality, short run magazines at a fraction of the cost of traditional and online printing companies. Our Digital Printing Helps Organizations to Save Money On Small Short Run Orders. Digital presses have the unique advantage of being able to manufacture print materials with minimal setup costs, helping organizations to save money on small orders. Additionally, organizations can print the exact number of calendars they need, cutting back on wasted materials and maximizing companies' investments. Get an instant price with our online pricing tool! Don't see what you are looking for? Click on Custom Quote or call 1-800-995-1555. Try our high quality color magazine printing today! You’ll be glad you did. Low Cost Magazine Printing Ideas. Articles or interviews that provide expert insight on relevant subjects are the most effective way to do this. 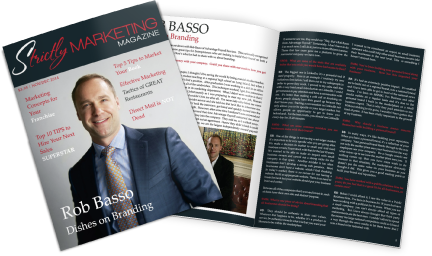 For example, a marketing firm could release a magazine that analyzes new spending trends. Similarly, a nonprofit publication could educate potential donors about worthwhile causes. Businesses should include affordable advertisements and promotional materials interspersed with the articles. The key is maintaining a good balance of informational and marketing content. Organizations should consider combining both types of content when possible, such as running an article detailing how consumers could use a product. Affordable magazines are effective marketing tools because they can reach broad audiences of consumers in fun and engaging ways. Additionally, depending on how an organization prints publications, they can be a low cost-efficient marketing expense. Another strategy entrepreneurs could use is selling discount advertising space to partnering businesses. This money could be put toward funding the inexpensive magazines. Additionally, if sponsoring companies complement an entrepreneur's business, the publication could provide more value to the receiving consumers. Educational and promotional content is an effective marketing tool and helps establishes the sponsor as an industry thought leader because consumers generally want to read them, unlike some other print materials. Businesses can make use of this which should help them boost the return on their marketing investments.